A Supreme Court Bench headed by Chief Justice of India (CJI) Dipak Misra on Monday sought response in two weeks from Uttar Pradesh Government on a petition seeking CBI or SIT probe into all the encounter killings in the state so far. The plea also sought compensation to victims’ families. The petition was filed by People’s Union for Civil Liberties (PUCL) through counsel Advocate Pukhrambam Ramesh Kumar alleging that the incidents of encounter killings taking place in the State in blatant violation of Rule of Law, legal and constitutional protection available to the citizens, under Article 21 of the Constitution. Appearing for the petitioner NGO, Senior Advocate Sanjay Parekh argued that as per the National Human Rights Commission (NHRC) data, more than 1100 encounters have taken place during the current government and the human rights body has intervened in several cases. He also prayed to make NHRC to be made as a party in the case. The bench also comprising justices AM Khanwilkar and D Y Chanfrachud, however refused to make the NHRC as party in the plea. Advocate Aishwariya Bhati, who appeared for the state accepted the copy of the petition. The bench posted the matter for hearing after three weeks. According to the petition, ”over 1100 encounters have taken place in the past year, wherein 49 people were killed and 370 were injured. According to the figures given by the State of U.P. to the NHRC, in the encounters, 45 persons have died between 01.01.2017-31.03.2018. “Each such encounter is required to be investigated on the basis of FIR, followed by a Magisterial Inquiry and thereafter, a criminal trial in accordance with law” the plea referred to the guidelines and directions laid down by the Apex Court in PUCL v. Maharashtra case in 2014. Petitioner states that the statement made by the Chief Minister on 19.11.2017 was taken cognizance of by the NHRC on 22.11.2017 and subsequently, on 05.02.2018 and the following response was sent to the State of U.P. 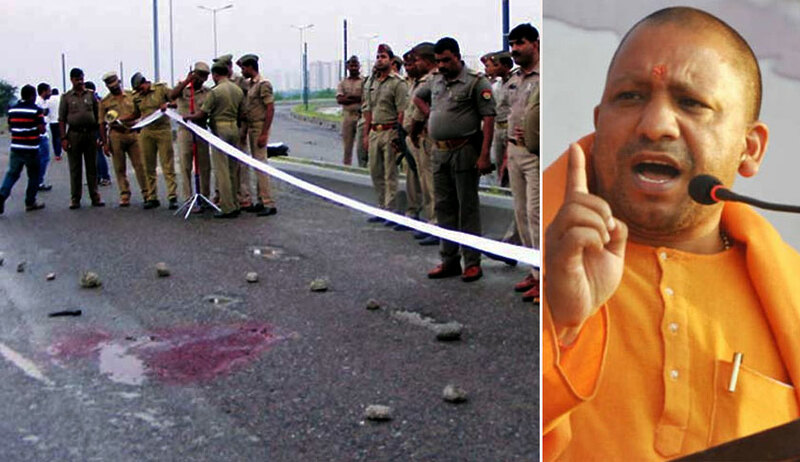 According to the petitioner the above response of the NHRC makes it clear that the endorsement of police encounters by the Chief Minister who controls the law and order machinery in the State is not only in violation of provisions of law but also the protection to life offered by the Constitution. The above mentioned statements openly defy the Rule of Law and violate the directions given by the Supreme Court. The petition also seeks a direction for Court monitored investigation or investigation under a monitoring committee headed by a retired Supreme Court judge.